Whitney Long has joined First Service Bank as a mortgage loan officer to serve the Conway market. 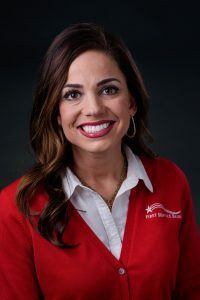 First Service Bank recently announced that Whitney Long has been hired as a mortgage loan officer to serve its Conway market. “We are excited to be expanding our mortgage team and feel Whitney will be a great addition and will help enhance our customer experience,” said Robin Hackett, mortgage department manager. Whitney Long made Conway her home in 2010. She was born in Greenville, S.C., but grew up in the Dallas/Fort Worth area. After moving to Conway, she started working in real estate as a top producer and acquired her broker license. In 2017, she pursued her career as a mortgage lender. Being a lender allows her to use her experience in the real estate world to better serve people in fulfilling their dream of homeownership. Long serves the Faulkner County community on the boards of the Women’s Shelter of Central Arkansas and Deliver Hope. She also volunteers to serve at local shelters. Long enjoys spending time with her family, church family (Church Alive in Conway) and serving in the community. She also enjoys jumper equestrian riding. Whitney and her husband, Ryan, have a son, Harrison. “Our Conway team is proud to have Whitney join us, and we feel strongly that her real estate background will be an asset to our Conway team, and most importantly to our customers,” said Tom Grumbles, president and chief executive officer at First Service Bank. First Service Bank has locations in Greenbrier, Conway, Marshall, Mountain View, Dermott, Shirley, Yellville, Flippin, Clinton and Little Rock, with its headquarters in Faulkner County. A majority family-owned and operated bank for 56 years, First Service employs 110 people at 10 locations around the state.